NEW DELHI: Andhra Pradesh Chief Minister N. Chandrababu Naidu on Saturday said the Election Commission has lost its credibility as it functions on the instructions of Prime Minister Narendra Modi and his office. Raising questions on the poll panel's independence and impartiality, Naidu told reporter outside the EC headquarters here that the level playing field -- an essential attribute of democracy -- "now stands disturbed". The Chief Minister was speaking after his meeting with Chief Election Commissioner Sunil Arora. 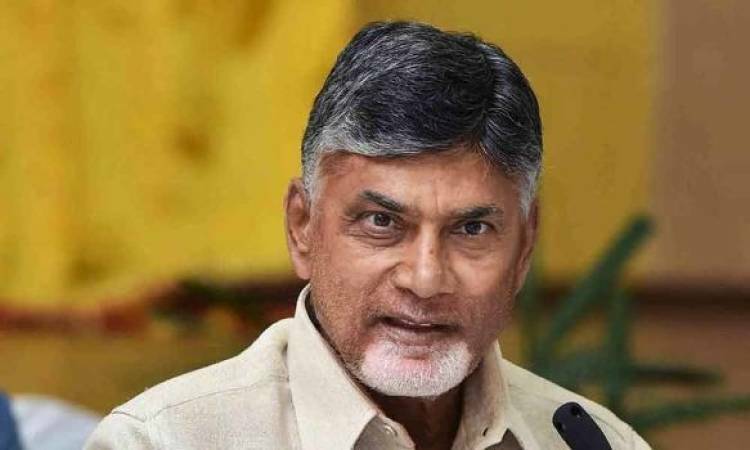 Naidu said officials in Andhra were being transferred in an arbitrary manner and the Chief Secretary has been replaced by a person, who was accused along with YSR Congress chief Jagan Mohan Reddy in a case. Describing the acts of the poll panel as "unfair", Naidu said that the "Election Commission has lost all credibility among the people of the nation" and its image has been dented in their eyes. He alleged that the poll panel observer in the State was having links with Rashtriya Swayamsevak Sangh (RSS). Recalling that all the opposition parties had demanded for 50 per cent matching of EVMs with VVPATs, Naidu said that increasing that number from one to five by the Supreme Court was "insufficient".